There are a few of these style leads out there – and they’re growing in popularity among those with larger dogs. 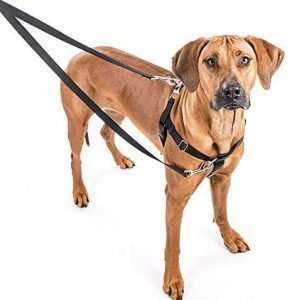 Firstly they can be used as both a training lead as well as a close walk lead. 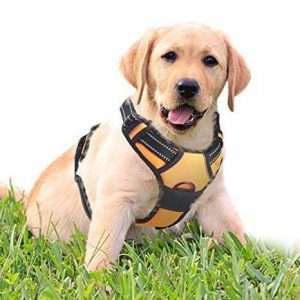 Primarily this is suited for larger dogs such as a Golden Retriever up to a Great Dane. 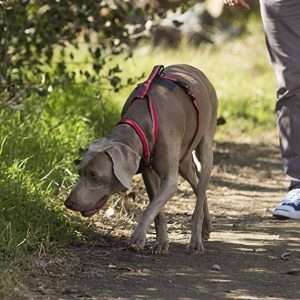 The closeness and sturdiness finds this leash being used in dog shows, when patrolling and when out walking. 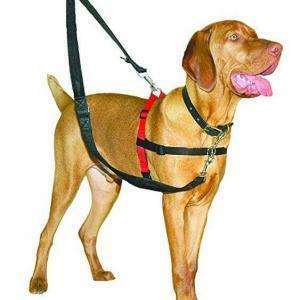 As a training lead it aids with no-pull training especially when used with no-pull harnesses like the Ruffwear Harness or Julius-K9 Harness. This lead is strong. Very strong. It is advertised as being military and police worthy in regards to strength and has been independently tested with over 245 lbs of Pulling Force. The material used is not only strong but comfortable. It’s designed to not burn or dig into your hands, even when the dog pulls. The lead is water resistant. It’s worth noting that one of our good friends uses this Bymia lead on his Blenheim Cavalier King Charles Spaniel. Although a lovely dog she has, even at the age of 8, real pulling and impulse issues when out walking. This lead has been a real asset when out walking as it is not only robust but the short length keeps her under control at very short notice. Not for everyone but this training lead is beautifully crafted and ideal for training/walking larger dogs.